The principles established by Dieter Rams have had a great influence on the best designers of today. His designs constituted Braun’s identity. 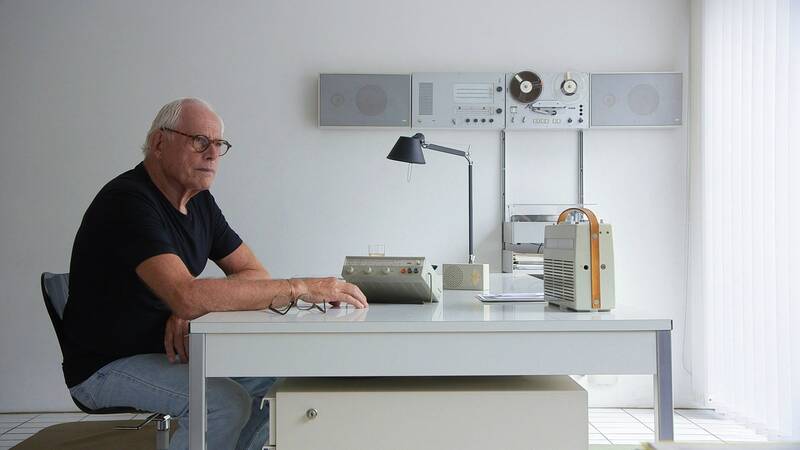 Dieter Rams, German industrial designer, worked most of his working life for the consumer electronics company Braun ( Braun Design ), from 1955 to 1998, becoming one of its most prestigious designers in the world and a clear reference in the identity of the brand. Many of his designs as coffee makers, calculators, juicers, radios, audiovisual products, consumer appliances, and office products have found a place in many museums around the world. The principles established by Dieter Rams have had a great influence on numerous designers, among which Jony Ive stands out today. In the documentary Objectified (2009) he indicates his 10 principles of good design, although he declares that he does not see them respected often. Good design is innovative : it is difficult to exhaust the possibilities when innovating in design due to the constant opportunities offered by the accelerated technological development. Good design makes a product useful : the primary objective of a product is its usefulness. The design must be practical, the satisfaction of the psychological and aesthetic criteria being secondary. Good design is aesthetic : the good execution of the design should not lack beauty. Good design makes a product understandable : a good design simplifies the structure of the product and predisposes it to clearly express its function through the simple intuition of the user. Good design is honest : honest design never tries to lie about the true value and innovation of the product. A good design does not try to manipulate the consumer by promises of a false utility beyond the physical reality of the product. The good design is discreet : Every product and its design must be neutral and sober. Good design has a long life : fashions are transient and subjective. Good design and perfect execution create useful and timeless products. Good design is consistent in its details : good design never leaves anything to chance. It must be taken care of and designed under the exhaustive precision of each detail, expressing the designer’s respect for its consumers. Each mistake is a lack of respect. Good design respects the environment : a good design must contribute to the preservation of the environment by conserving resources and minimizing physical and visual contamination during the life cycle of the product. Good white label web design is design in its minimal expression : Dieter Rams distinguishes between the usual paradigm in design: “Less is more” and instead recommends his own model: “Less, but with better execution”. He emphasizes that this approach fosters the fundamental aspects of each product and therefore avoids unfairly weighing them with everything that is not essential. The ideal result is a product of greater purity and simplicity.